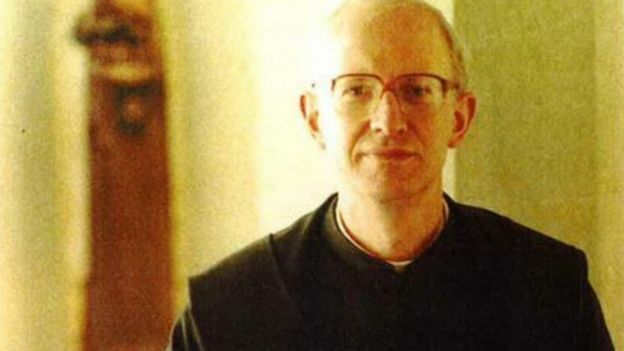 An ex-Roman Catholic priest has been found guilty of abusing boys at a London school during the 1970s and 80s. 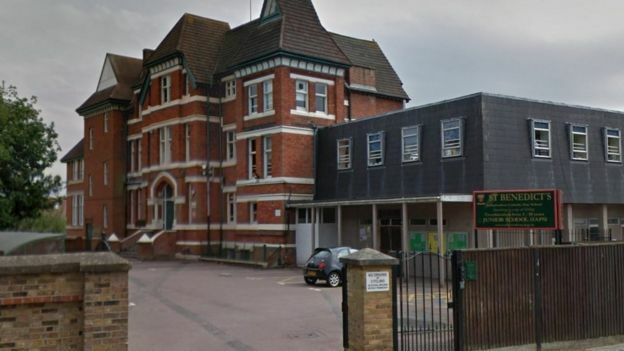 Laurence Soper, 74, was extradited to face 19 charges of indecent and serious sexual assault against 10 former pupils at the independent St Benedict’s School in Ealing, where he taught. Soper fled to Kosovo with £182,000 from the Vatican bank in a bid to avoid prosecution for molesting boys. An Old Bailey jury took 14 hours to find him guilty of all charges. Prosecutor Gillian Etherton QC told how the victims were subjected to sadistic beatings by Soper for “fake reasons” and on many occasions “with what can only have been a sexual motive”. They included kicking a football “in the wrong direction”, “failing to use double margins”, and “using the (wrong) staircase”, leading to a caning and a sexual assault, she said. Ms Etherton said at least one of Soper’s alleged victims suffered serious mental health problems, while another was too afraid to speak out because the abusers “were like saints to me”. 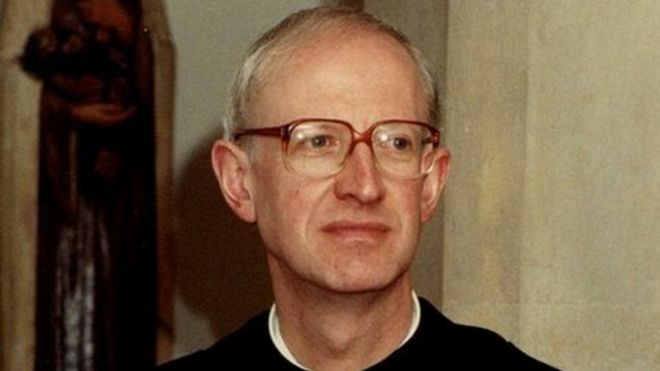 The court heard Soper quit as an abbot in 2000 and moved to Rome. He then skipped bail and spent six years living in Kosovo, with a European Arrest Warrant issued for his extradition. Soper denied using the cane as a ruse to abuse boys who were given the choice of six lashes with trousers on, or three with them off. He told jurors he went on the run out of “stupidity and cowardice”, fearing that his life’s work would be wrecked. In 2010, Abbot Shipperlee announced an independent review of safeguarding arrangements, policies and procedures. The following year, Lord Carlile produced a damning report calling for tougher rules to protect all faith pupils and stripped monks of control at the school. In a statement issued by Lord Carlile QC, the school apologised for the “serious wrongs of the past”. He said: “The school regrets that Soper did not have the courage to plead guilty. The result has been that innocent victims, whom he abused when they were boys in the school, were compelled to give evidence. Soper was remanded in custody to be sentenced on 19 December. This entry was posted in Lord Alex Carlile QC and tagged Laurence Soper, Lord Carlile, St Benedict's on December 7, 2017 by richardwsymonds37.